This tour was super COOL! Swimming in the cave was such a fun experience and the buffet lunch was delicious, very authentic food! We purchased the pictures and they were worth it, they looked great. Really enjoyed this tour and would highly recommend! Had an excellent time. This was our second visit. The first in 2013. Since then, much improvement in the Experience. Our guide Daniel Yul was very informative and helpful for our group of 8 adults. It is an amazing experience swimming in and underwater cave. The pictures taken by the staff photographers were stunning. We had a great time doing this experience. It was serious spelunking -- wetsuits, a little bit of swimming, and all in a very dark cavern. We had headlamps so it wasn't scary though my 8 year old son did get a little freaked out when we turned them off at one point. I've never done anything like this so definitely it's an experience I won't forget. The tour is long 45 minutes? 1 hour? and time seemed to lose meaning down in the caverns. We couldn't bring our own phones/cameras so if you want photos, you have to pay for them. A photographer comes along with you and takes a lot of photos. The photos are very expensive so be prepared to pay 100 if you want your whole roll. AMAZING tour! Our tour guide, Juan, was amazing, funny, and so knowledgeable! Highly recommend. Overall: This tour was amazing. I highly recommend it. Solo, group, kids - great for all ages. I got picked up from Cancun so the ride down was about an hour or so. I completely forgot the name of the bus driver and chaperone, but they were great. The chaperone was funny, he kept the bus alive with his little jokes at 7:00 AM. Once you get to Rio Secreto, you are divided into language groups English and Spanish/Portuguese - I believe I heard some French, too. From there you take a van to meet up with your tour guide to get prepped. The ride is about 10 mins and it's a bumpy, dirt road so if you get motion sickness take some non-drowsy dramamine or chew on some ginger. Once you arrive to meet up with your tour guide, you will be taken to the lockers and shower. They require you to shower before heading into the river. Also, no earrings, watches, etc. in the river. After that you'll be given water shoes, helmet with light, wetsuit, life vest, and a hiking stick if you want one. I highly recommend the hiking stick. There's a 5-10 mins hike down to the river - the path is uneven, slippery, and there are some poisonous plants and trees on the way to the river so you don't want to trip and land on something that can harm you. Right before you head down the river you will be blessed by a Mayan shaman. You can opt out of that if you want. After the blessing it's time to head down to the river. Words cannot even describe the feeling you get just looking at this place in person. If you think the photos are beautiful just wait til you see it with your own eyes. Unfortunately, there are no cameras of any kind allowed, but they do have a photographer following you taking photos for purchase at the end of the tour. Price per photo is 25USD or purchase the entire package for 99USD. I purchased the package because our photographer was great, and I wanted memories of this magnificent place. The photographer was really happy I liked his photos after I told him I was going to purchase the package. 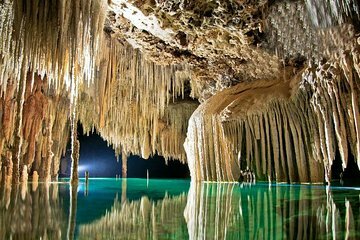 We only get to see 10 of a really long and deep underground river that's still being explored and mapped out til this day. The revenue from this tour helps conserve and protect the rest of the river/nature reserve which is roughly 1.5 million years old - let that sink in no pun intended. The buffet they provided after the tour was decent. It's food, and I was hungry so I ate it. Don't expect to be given Michelin star food or authentic Mexican cuisine here. My tour guide was Lu. She was awesome. She provided information about the river, history, and made sure we didn't slip or fall by lending out her hand every time we came across a difficult path. I went on this tour solo and was grouped with some older folks - which I love. My group was lively and entertaining. We all looked out for each other along the way. In the end, I'd do this tour again as they continue to discover more of this underground river. This was our second visit to Rio Secreto. Wonderful experience with an awesome guide. Well worth the money. This was an amazing tour and well worth the time away from the all-inclusive resort. Our tour guide was very knowledgeable and passionate about preserving a natural treasure. This tour was very special. Going into this wonderful cave with an excellent guide like Carlos was an amazing experience!. He managed with a lot of skill and safety two groups in different languages. Very recommended tour and guide. 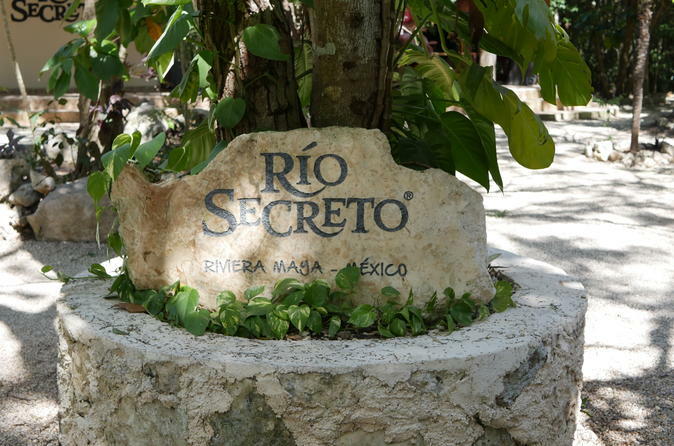 We enjoyed our experience at Rio Secreto. Our tour guide Alondra was great - knowledgeable, funny and very friendly. You're not allowed to take your camera/phone with you which is understandable cause you're constantly in and out of water, on uneven terrain etc.... But unfortunately, our photographer didn't do a good job. We only selected one photo to take home cause we wanted at least a photo to remind us of the experience! Photos are US25 each but you can choose a package for more money.  We weren't pushed into purchasing photos, unlike many reviews I had read. Lunch was OK. Overall, a great experience and well worth it!